The last concert we are covering from the Film Music Prague festival was different from the previous three concerts. 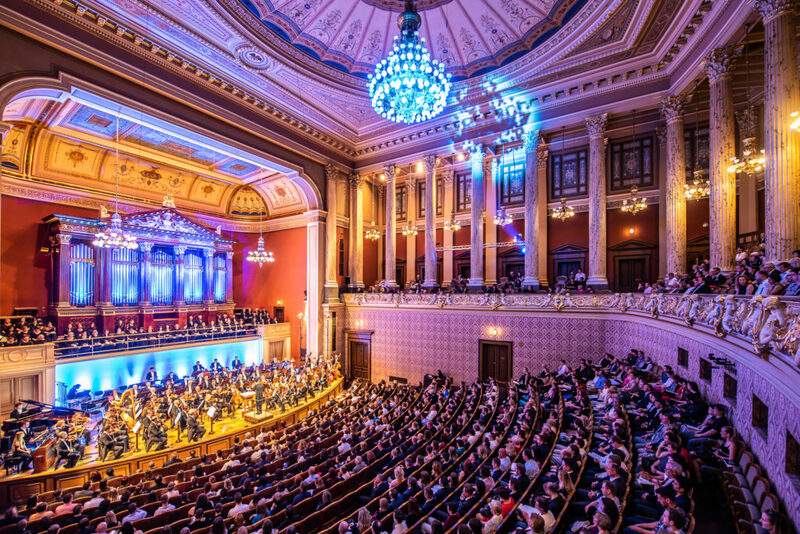 The main reason for this was the different venue called Rudolfinum. It is a quite famous concert hall and it is even included by tourist guides in their city tours. I have been in this hall a couple of years ago and the sound quality is just amazing, putting it at the same level as ‘Het Concertgebouw’ in Amsterdam. 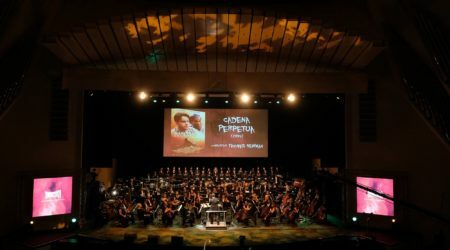 During this concert we could enjoy music from movies that were based on true stories. 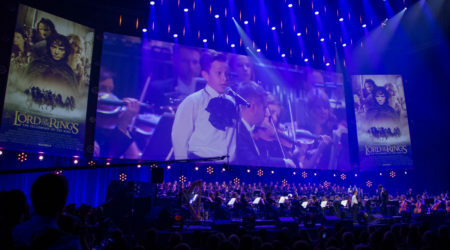 The first piece was not based on a true story though: it was the Film Music Prague Fanfare written by Matthijs Kieboom. This version was even better than the one performed at the GOOSEBUMPS! concert, mainly because of the hall: the castanets came through perfectly. After a beautiful suite from Alexandre Desplat’s Imitation Game, we could listen to the first highlight of the concert, which was a suite from John Ottman’s Valkyrie with its bombastic start in the percussion (including a huge hammer that was almost as big as the wielder), the piano part in the middle and the wonderful choir in the finale. In my honest opinion, arranger Nikiforos Chrysoloras did a wonderful job of arranging that suite. After The King’s Speech, another suite written by Alexandre Desplat with a beautiful piano part, we could enjoy a combination of two pieces from the movie Steve Jobs, composed by Daniel Pemberton, who was present in the audience. This score is very typical of Pemberton in that it has a very distinctive sound that makes it unique and instantly recognizable. I did not know that Pemberton had written a concert piece for soprano together with the orchestra and choir for this movie, and it sounded wonderful. The next two pieces were also for a solo instrument and orchestra. The first one was the theme from Schindler’s List. How the violin is played makes or breaks this piece for me, and the violin player Olga Šroubková nailed it. The second piece had a solo for a theremin that was used by Howard Shore for the movie Ed Wood. That instrument is such an interesting device, making the whole piece a fascinating listening experience. After these two pieces it was time for Daniel Pemberton’s music for the movie Gold. He had written elegant tranquil music for the movie. The piece afterwards was a bit emotional, since it was The Theory of Everything by the late composer Jóhann Jóhannsson. Fortunately, we could hear the beautiful Chariots of Fire by Vangelis, before the intermission started. 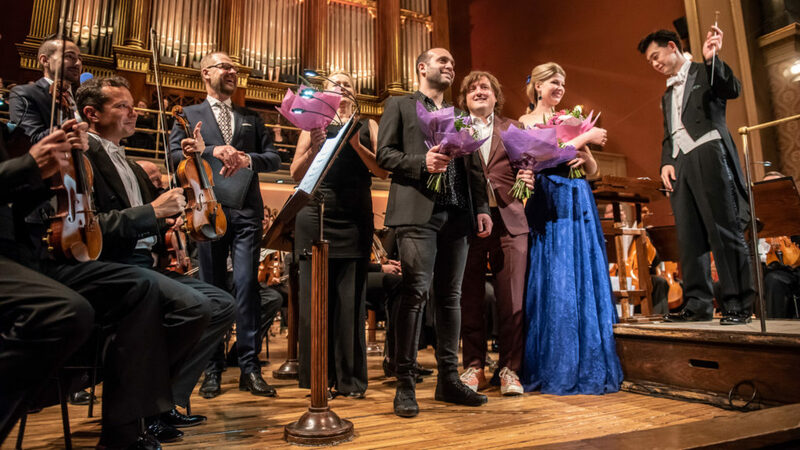 The first suite of the second half combined two pieces from The Young Victoria composed by Ilan Eshkeri – who was also present at this concert – including a grand part for the choir, filling the whole Rudolfinum with its sounds, but the rest of the suite with beautiful melodies was a wonderful listening experience as well. After the joyful The Grand Budapest Hotel, again by Alexandre Desplat, which brought a smile to my face, we could listen to a suite from the movie Wilde, with music by Debbie Wiseman. It is such a marvelous and emotional score, which I still do not have in my collection, and after hearing this suite live it is about time to include it. The next piece was another highlight for me. Most of the times when music from Titanic is played, an orchestra would play the not so complex “My Heart Will Go On” or another track with that melody. Instead they chose to play “Hard to Starboard,” which is a much more complex piece with a lot of timings and musical patterns that can go wrong, and they pulled it off perfectly. The suite from Rachel Portman’s Belle was quite a contrast with delicate piano play and melody lines laid over it. The diversity in Pemberton’s scores could be heard again in two compositions from All the Money in the World. The first sounded like an orchestral piece that could have been over a century old but was just written this year. The second also contained a beautiful part for the choir. 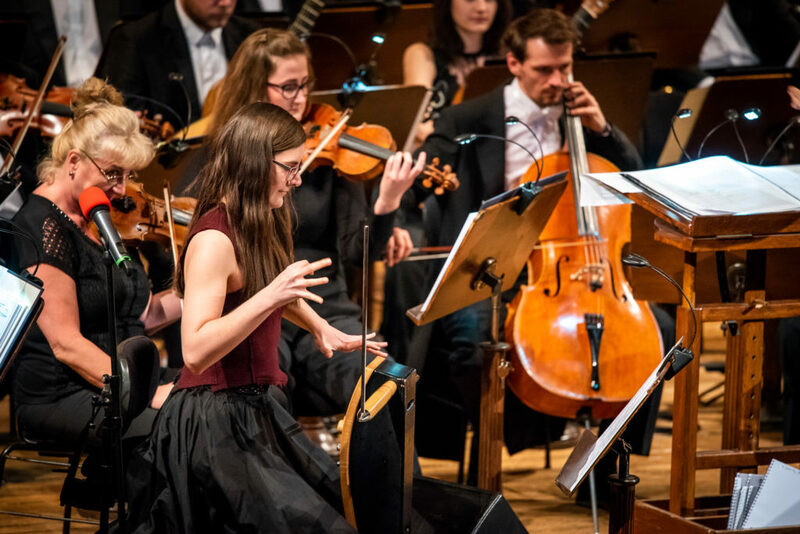 The last piece of the program was the classic Lawrence of Arabia by Maurice Jarre, and while you listen to the beautiful melodies and the percussion it should become clear why it has become a classic. The evening didn’t start with a true story but with Kieboom’s fanfare and fittingly it also wouldn’t end with one since the encore was from the USS Callister episode of the fictional television series Black Mirror, composed by Pemberton: a bombastic piece with all kinds of sound effects within the orchestra and a solid end to this concert. Again, Film Music Prague was able to produce another great concert. I have already said how brilliant the venue is, the lack of amplification is a huge factor for me. 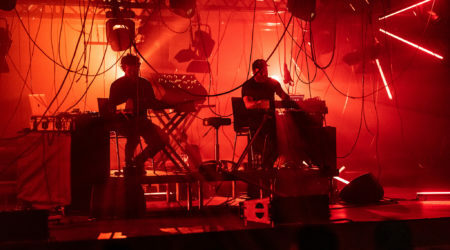 To be able to enjoy the music as it is intended without anyone turning knobs to change the balance and sometimes even making changes to the sounds. The musical choices were very interesting: For one thing, this evening was filled with world premieres. I also enjoyed the balance between older and newer pieces and the different styles of each one of them: none sounded the same. This resulted in an entertaining event and kept me interested since there was no screen present to distract the audience. I am still surprised how the director of this festival, Nikola Bojčev, is able to produce such a fantastic festival each year almost completely on his own. However, I am confident that he will pull it off again in the next edition and my tickets have already been booked.